Hi, everybody. Today’s card is the Eight of Pentacles. Not only are you working hard, you are learning lots of skills in the process. This could play out in your actual career or it could simply be a project you are working on. Whatever your situation, continue to work hard. Feel confident that your efforts are paying off. Take pride in what you have done so far. I don’t often talk about current events on the blog, but sometimes the sheer number of incidents coming at me on a day-to-day basis feels overwhelming. And again, there is news of a horrific shooting of historic proportions last night. 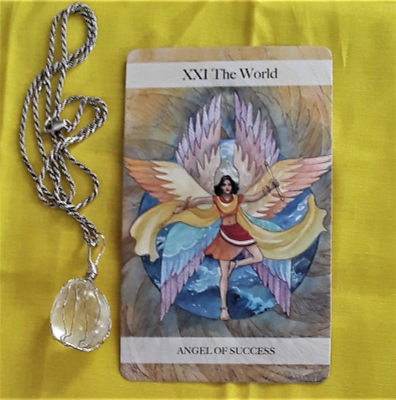 There have been lots of manmade and natural disasters lately … We give out money and prayers in support but it can feel like there is nothing of meaning we can really do. However, this reminds me of something one of my YouTube “gurus” said: “negative” energy is not stronger that “positive” energy; it’s just that negative energy has more confidence in itself that positive energy does. 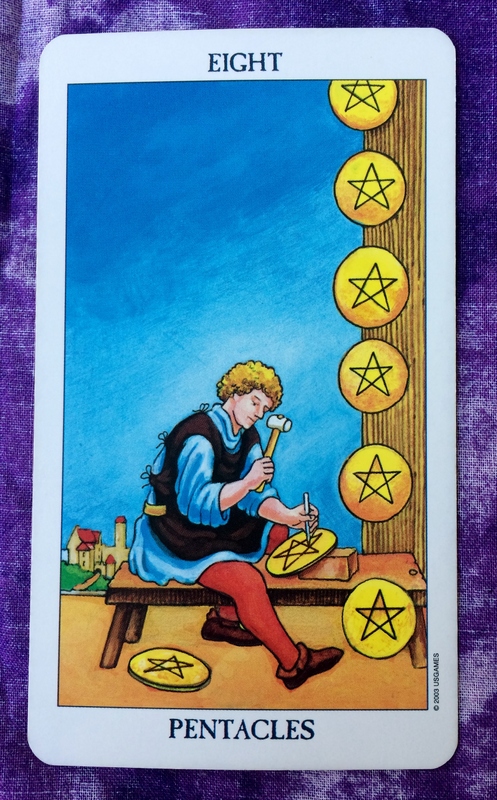 So relating this back to today’s Eight of Pentacles, don’t stop doing the hard work you have been doing. Don’t stop sending your positive energy out into the world. Don’t let anyone convince you that you don’t matter. You do.